So many landscaping problems can be solved by growing vines in the garden. Does your backyard need screening from nosy neighbors? Does your garden lack vibrant color, texture, or vertical interest? All of these problems can be answered by growing vines. But if you’ve ever planted a lovely wisteria vine or honeysuckle, you may have noticed it quickly taking over without consistent maintenance. These and many other vines are prized for their beauty and versatility, as well as their ability to rapidly colonize unattractive areas. The downsides to planting vines like these are their unmanageability. Rampant, aggressive establishment can quickly cover other wanted plants and even lead to such things as breakage on fences with thick, rugged stems. Some vine planting drawbacks may help you decide if vines are right for your space and which ones to avoid for an easy going landscape. Teo’s viewpoint: Any gardener asked about vine planting pros will have a hard time figuring out where to begin, since there are so many reasons to grow vines. Read on to find out about the many advantages of growing vines in your garden. Colorful reasons to grow vines. Vines can add aesthetically to the beauty of your outdoor space. Every vine you plant adds green to the garden palette because of the foliage. But many also offer flowers in a variety of shapes and shades. Flower colors range from subtle blue to blazing orange. Annual vines are those you plant for one season only. They grow, rise, twine, flower and die with winter. Perennial vines last longer. You can find both annuals and perennials with bright blossoms and some even bear fruit. Vines add vertical interest. The benefits of vines do not end with their flowers. Vines climb high up a wall, a house or a tree, adding immediate vertical interest to a backyard space. They can soften harsh corners and also cover less-than-lovely walls or fences. Vines can help create shade and fragrance. If your garden lacks shade, vines grown to cover a pergola create shade instantly. And flowering vines bring fragrance into your garden, as well as hummingbirds and bees. They make great screening options. If you want to protect your outdoor space from those passing by, vines growing on a fence or trellis can do the trick. You can also use vines to create a shady screen for a porch or deck. Vines can create exceptionally ornamental living screens, depending on which ones you select. For a high wow factor, pick vines with gorgeous flowers, brilliant leaves or eye-catching fruit. Low-care garden guests. Best of all, vines are by large easy-care plants. Once perennial vines are established, they are low-maintenance garden guests. Give them an occasional drink and train them where to go, and you are done. Annual vines have other attributes that are attractive. 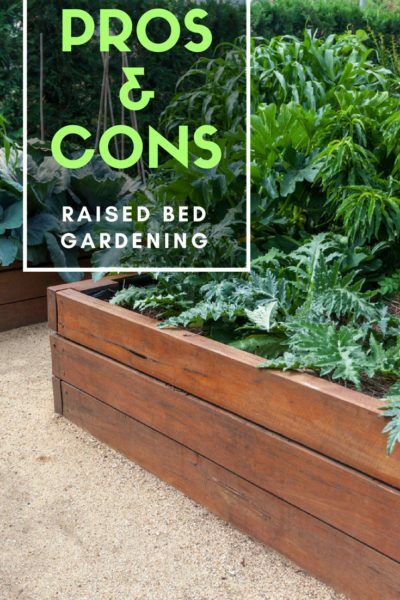 They don’t cost much, grow like Jack’s beanstalk after planting, and can create a quick garden focus for the summer months. Bonnie’s viewpoint: One of the classic representations of vines in the garden is the English ivy, fetchingly draped over beautiful old buildings. But its self-adhesive nature will slowly rip away siding, mortar and other crucial elements to the construction of the building. This is just one example of vine disadvantages in the garden. Although vines are attractive tumbling or climbing additions to some garden spaces, there are serious cons of planting vines unless steps are taken to minimize their negative impact. Building damage. Not all vines have the capacity to damage buildings and structures, but some develop large, thick stems that literally strangle posts or have cement-like secretions that tear apart the basic connective tissues of brick, wood and other materials. Some of these might include wisteria, English ivy, trumpet vine, honeysuckle, and Virginia creeper. Thorns and debris. These vines can best be considered a nuisance, especially for maintenance. Several climbing roses produce nasty thorns that can make pruning and staking a nightmare. Vines that produce fruit, such as porcelain vine, drop debris that is not only unsightly but can leave a slimy, staining mess below. Unwanted spreading. One of the classic examples of this is the lovely but overly zealous spreader, morning glory. Honeysuckle, too, is a verdant plant that will exceed its boundaries joyfully, colonizing the tops of buildings, running roughshod over garden beds and, in general, making itself a pest. Cypress vine, trumpet vine and moon vine are also pesky colonizers. Native plant takeover. This particular downside to planting vines has been expressed with the kudzu vine. This Asiatic native was planted to stabilize soil across the American South. It very quickly began to encroach on native areas and soon covered many once wild spaces. Its control has been difficult and certain areas still experience this hostile takeover. Tree damage. Vines on trees are extremely elegant and eye catching vertical additions. However, these types of vine disadvantages are twofold. One, they can damage bark, penetrating the trunk and inviting pests and disease, and two being that they can strangle and girdle plants. The stranglers will also rip off limbs in extreme cases. These downsides of planting vines on trees should make you think twice if you want healthy trees. Maintenance. Even mannerly vines need maintenance. This can be difficult on plants that cover buildings or trees. Consider the eventual spread of the plant before you install certain vines, especially if you are not comfortable with ladders. This is one of the main vine disadvantages in very high locations. There are not just cons to planting vines, since their gleeful, scrambling nature and various forms may be just the right plant for certain situations. Just remember that the vine should be the right plant for that space. In the correct location, even some of the most aggressive vines are perfectly suited for coverage and greenery. Consider the level of maintenance you wish to provide and what elements the plant may have that could turn it into a monster instead of a delight.